Judy Wetzel successfully defended her 2017 victory in the Delaware State Golf Association’s Women’s Super-Senior Championship Aug. 13-14 with a first-place finish in the 2018 edition, held at Wild Quail Golf & Country Club. The Kings Creek Country Club member was seven strokes ahead of second place finisher Jane Brown in the 36-hole tournament. Ruth Lauver of Kings Creek took third. Several Cape Region seniors played very well in the DSGA Super-Senior Men’s Championship, held Aug. 13-14 at Wild Quail. Pete Widdoes of Landenberg, PA, a frequent competitor in past DSGA tournaments, won the 36-hole event with an even-par total. Jack Storms of Rehoboth Beach Country Club and Ken Eisenberg of Bear Trap Dunes Golf Club tied for fourth place, eight strokes back. Jeffrey Cossman of Bear Trap took seventh place, and fellow Bear Trap member Richard Swearer tied for 8th. Mike Tigue of American Classic Golf Club finished in 11thplace, and Bruce Humphries of RBCC tied for 13th. The Rookery South golf course is once again holding an NFL Opening Scramble tournament on Thursday, Sept. 6. The two-player teams begin with a shotgun start at 3:00 p.m. The entry fee of $70 per player ($48 for Rookery members) covers the greens fee with cart, net and gross prizes, dinner after the round, and drink specials. For more information, email Osberg@rookerygolf.com or call 302-684-3000. Sixty golfers participated in the 2018 Delaware Women’s Golf Association Red White Blue team tournament Aug. 16 at the Rookery North course. Diane Braver, Jane Kuhfuss, Becky Caprano, and Sue Bardsley won first place gross in the first flight, and Ann Reed, Carolyn Ivins, Linda Kauffman, and Diane Stetina took second gross. Aubre Duncan, Donna Tanguay, Danette Travaglini, and Vicki Zimpo won first place net in the first flight, with Towar Whitehead, LindaJarrell, Jeannie Walls, and Jane Brown in second net. Bernie Weed, Keven Lawson, Donna Weirback, and LuAnn Mason won first place gross in the second flight. Judy Wetzel, Ruth Lauver, Deb Grant, and Carol Loewen finished second. Peggy Babairz, Ginny Ferrarh-Dellose, Margie Gehrman, and Denise Ferguson won first place net in the second flight. Mo Reardon, Barbara DeRue, Babs Kulbaba, and Maddie Polhemus took second net. 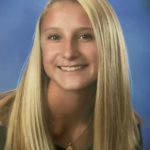 Cape Henlopen High School’s Mallory Jones won the 2018 Stephen R. Lett Scholarship, and will soon head to Pennsylvania State University’s Happy Valley. The 2018 graduate was a three-sport athlete at Cape, in lacrosse, basketball, and volleyball. Her 3.9 GPA ranked her 30thin the class of 317. Hoping for a medical career, Jones has interned at the Beebe Hospital Emergency Department. The scholarship awards $2,500 per year for four years. The Lett Scholarship Fund is now in its tenth year, and honors a longtime president of Kings Creek Country Club. The primary fundraiser is a golf tournament, held this time on July 27 in what turned out to be terrible weather conditions. Multiple stoppages for lightning and driving rain eventually called a halt to the event, with some teams having only completed eight holes. Using available scores, Brian Simmons, Tom Clayton, Nick Nardo, Jr., and Keenan Charles won first place gross on a match of cards. Mike McGrath, Nick Nardo, Sr., John Purple, Sr., and David Spilman won first place net. Nominees for the scholarship can be obtained from members or employees of Kings Creek CC. 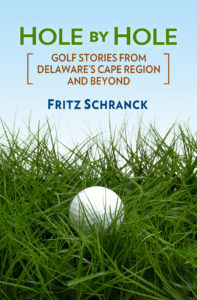 Potential winners need not be Delawareans or otherwise affiliated with the club. An independent selection committee selects the recipients from those demonstrating leadership, academic discipline, and community awareness. For more information about the Fund, go to lettscholarshipfund.com. The Rookery North golf course in Milford will once again host the Andrew Geyer Memorial Scholarship Tournament, this time on Sept. 14. The event benefits the Andrew Joseph Geyer Endowed Scholarship at Wesley College. Geyer was a former standout golfer for Milford High School and Wesley. He was a victim of a drunk driver in West Virginia. His untimely death hit hard with Cape Region golfers who had played with or against him. The four-person scramble format tournament has a shotgun start at 1:00 p.m. The $100 entry fee covers the range, golf with cart, prizes, and a dinner following the competition. For more information, contact Chris Osberg at 302-684-3000. The Mulligans Pointe Ladies 18-Hole group played an individual low gross/low net game Aug. 21. JoAnn Foster won first place in the gross category, followed by Karen Feuchtenberger in second and Linda Townsend in third. Dee Prilaman won first place net, with Kathy Hudak in second and Feuchtenberger in third. The Kings Creek CC Ladies 9-Hole group played a Three Blind Mice game Aug. 15. After the round, the pro shop randomly drew three holes whose scores were deleted from the total. Pat DeVoll won first place, with Trich Galioto in second, Sandy Neverett in third, and Sue Nardo in fourth.